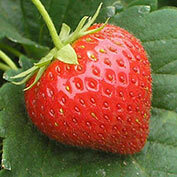 Charlotte Strawberry | Gurney's Seed & Nursery Co.
Make strawberry season last longer with this introduction from France. Hands-down winner in trials! 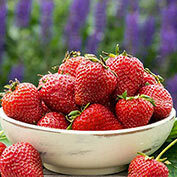 Our staff loved the flavorful berries, vigorous plants and production. Flavorful berries. 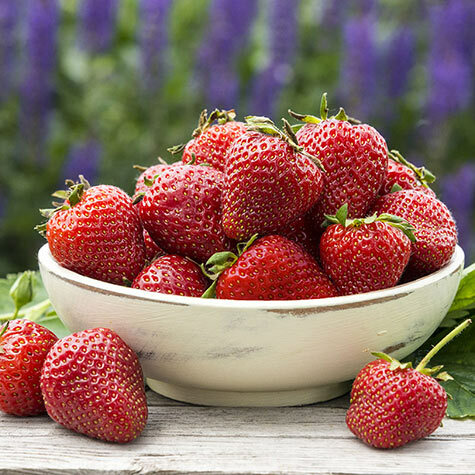 Super-sweet, strawberry-candy flavored berries are a beautiful red color. Great for eating fresh and in desserts. Just keeps producing. Produces blooms and berries from June until fall—even during hot summer temps when other everbearing varieties taper off. Comments: This introduction from France is hands-down, the best ever-bearing strawberry we've tried. 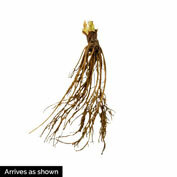 It combines a super-sweet flavor, beautiful red color and shape, as well as vigorous growth.